For Piano, Strings, Oboe D'Amore, Bassoon, Piccolo, Trumpet, Woodwinds, and French Horns. Sing loud, sing long, sing spirit full with silken rare and rippled song. The wren is a tiny bird and frequent visitor to my garden. As a child, my favourite coin was the farthing that featured a beautiful depiction of a wren on one side. That it was the lowest unit of currency that ceased to be used in the year of my birth made it all the more valuable. The Rights of Living Things is a declaration that seeks to encourage thought about how we act with all kinds of life. I rarely use explicit representation in my art and music, however the idea of what it is to value something is so abstract and personal, I thought it helpful when supporting the principle that life should have the right to be regarded as important and potentially beneficial to the world, no matter how small. 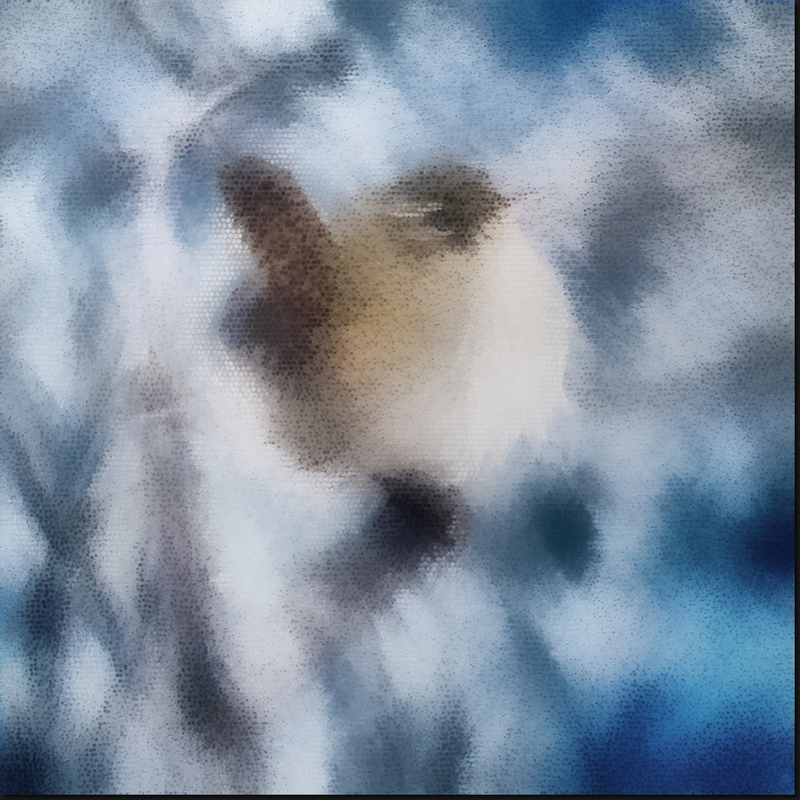 The artwork that accompanies the music is created from tiny balls, scrapes and dots sewn together into the single image of a wren that perches on a twig on a bright blue white-cold day. 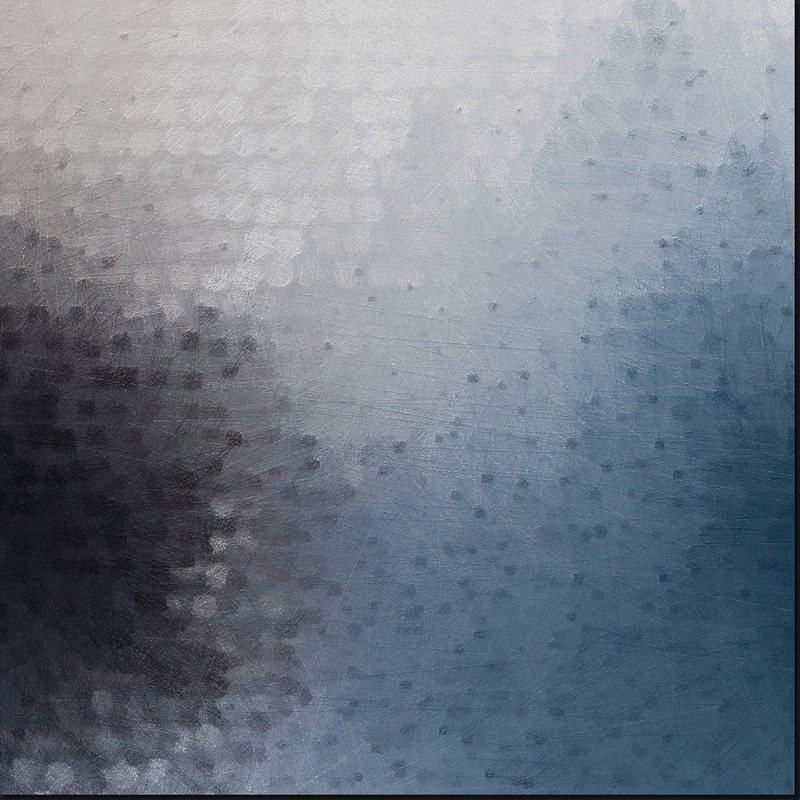 A full size section from the artwork follows.